Modern panels used with raised floor systems have a standard size of 600 x 600 mm and a panel thickness of approx. 40 mm (depending on the chosen floor covering). If your existing floor panels are damaged or have been warped by water damage, it is usually possible to replace them. We would be happy to produce standard floor panels with your chosen floor covering (PVC, linoleum, rubber or needle-punched carpet) in our in-house workshop and, if desired, we can also install them for you. We are also happy to dispose of your old floor panels. 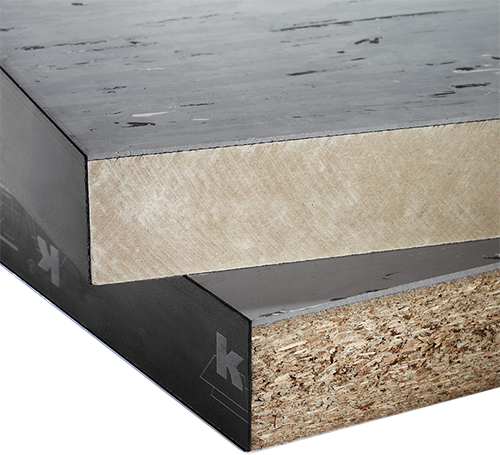 Our floor panels are made from multi-layered, high-density (720 kg/m³) chipboard and comply with DIN 4102. 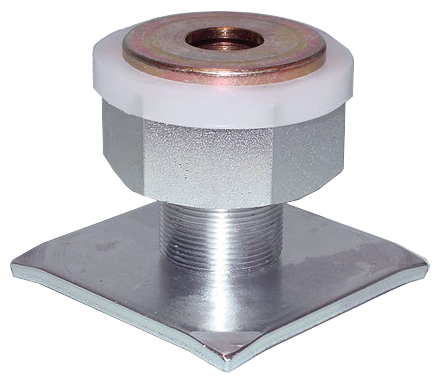 The underside is lined with aluminium sheet or, alternatively, with 0.5 mm galvanised sheet steel. All floor panels are cut to grid size in the dimensions 600 x 600 mm and milled to precise dimensions and angles. The edges of the panels are covered with a hot-glued edge trim on all sides to protect them from moisture and damage. The panels are 38 mm thick, plus the selected coating. 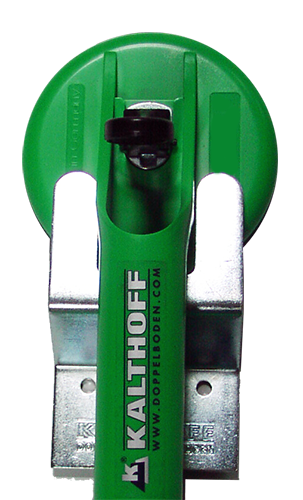 The upper side, for example, can be coated with PVC Etec Plus in grey. Our floor panels thus have a leakage resistance of approx. 1010 Ohm and are antistatic. Our company is proud to be able to manufacture custom-sized floor panels made of composite wood, which vary from the standard floor panels mentioned above. 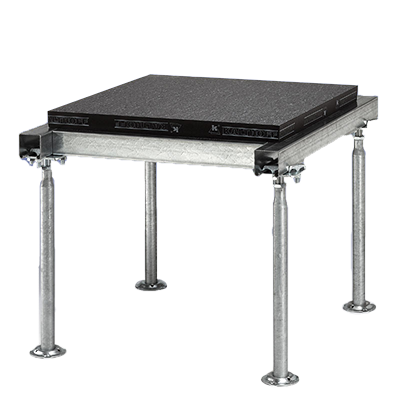 Floor panels can be manufactured up to a grid size of 1200 x 1200 mm at panel thicknesses of 28 mm or 38 mm, plus the selected coating. Further specifications or dimensions are possible on request. 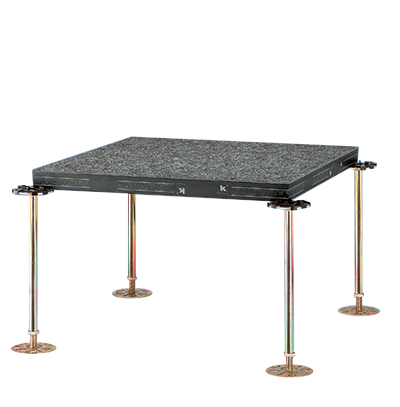 As an alternative, we offer floor panels made of high-density (1500 kg/m³), mineral-fibre materials, which are non-combustible in compliance with DIN 4102. All floor panels are cut to grid size in the dimensions 600 x 600 mm and milled to precise dimensions and angles. The edges of the panels are covered with a hot-glued edge trim on all sides to protect them from moisture and damage. The floor panels are 36 mm thick, plus the selected coating. The upper side of the panels can be coated with PVC Etec Plus in grey, for example. Our floor panels thus have a leakage resistance of approx. 1010 Ohm and are antistatic. DO YOU HAVE ANY QUESTIONS ABOUT OUR ACCESSORIES, OR WOULD YOU LIKE US TO SEND YOU SOME PICTURES?